Maintenance is one of key technology to obtain high quality concrete, and the effective means to keep the degree of concrete strength and prevent cracks. After concrete pouring, you should adopt effective maintenance way for maintenance. After concrete pouring to the elevation of standard, you should cover plastic on the surface of concrete. After all concrete pouring out, partition damming water storage curing. To uniform water impoundment, avoid concrete surface temperature had risen and fall big, water depth of 30 cm, and moist state within 14 d. According to the temperature of concrete during maintenance, to adjust concrete curing measures. To prevent temperature shock, exposure, the wind and rain. On the night of the temperature change is bigger, it is best to use insulation materials to keep warm, to ensure the concrete inside and outside temperature difference is less than 25 degrees Celsius. When stopping maintenance, to avoid the occurrence of cracks. Zhengzhou CamelWay Machinery manufacture is one of the large-scale enterprise specializing in construction machinery. If you are interested in our products, you can contact us. Please feel free to contact us via email or at the contact addresses available on this website. 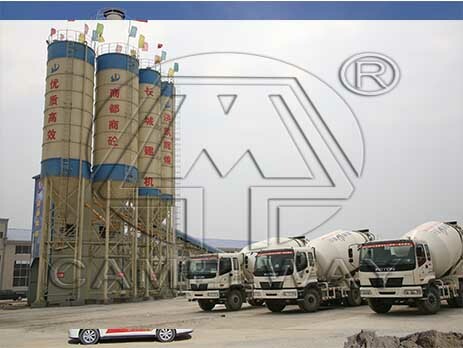 How to choose a high quality concrete mixing plant?